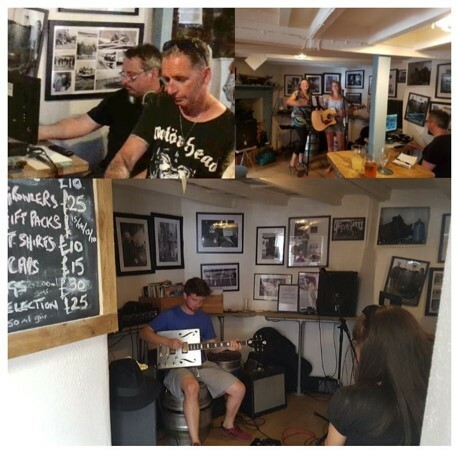 The Barrel at Bude, North Cornwall’s only micropub, celebrated its first birthday by inviting local musicians to make a CD to raise funds for Cornwall Air Ambulance. 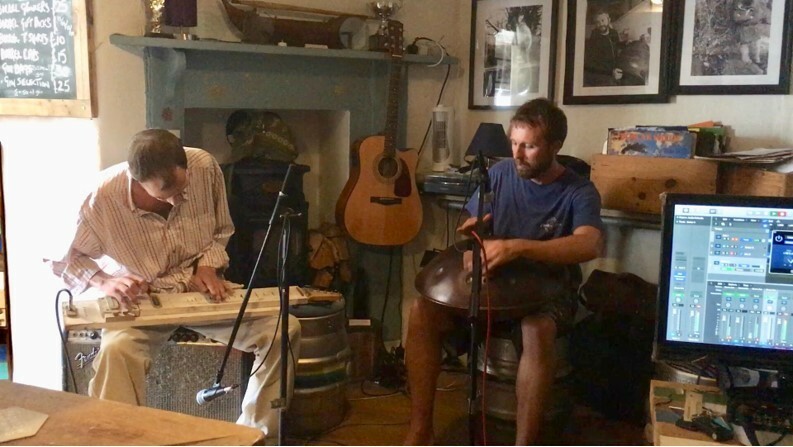 Musician’s from Bude and the surrounding area were invited to donate their talent for free at the three-day event in June, which culminated in the creation of two ‘Live out of The Barrel’ albums, one rock and one folk. 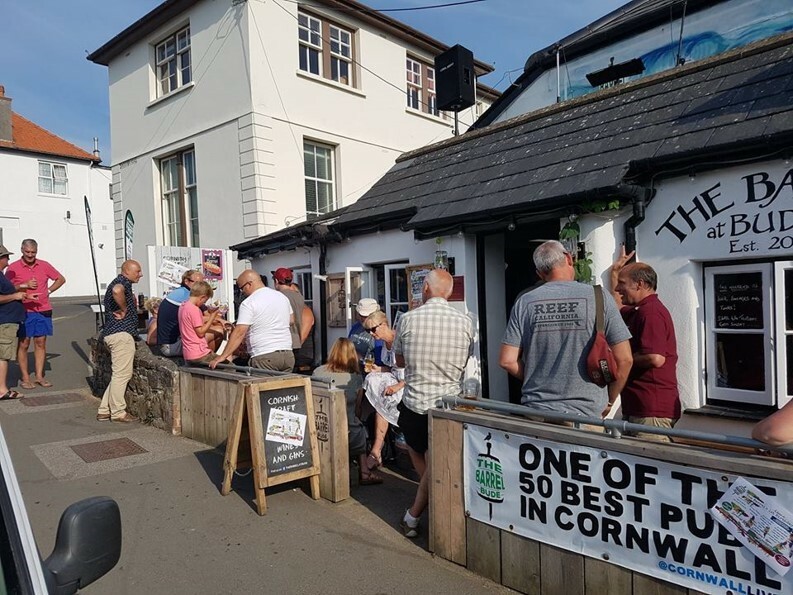 Bude’s own Simon Cowell and Louis Walsh, customers Jason King and Phil Williams, produced the music, which was overseen by musical director and local musician Kevan Taylor. The folk CD cover is an original drawing by local artist Harry McConville who can also be heard playing the accordion on this album. The whole process was brought together by Rachel O’Hare, co-owner of ‘The Barrel’ and Brian Newman, another customer of The Barrel. 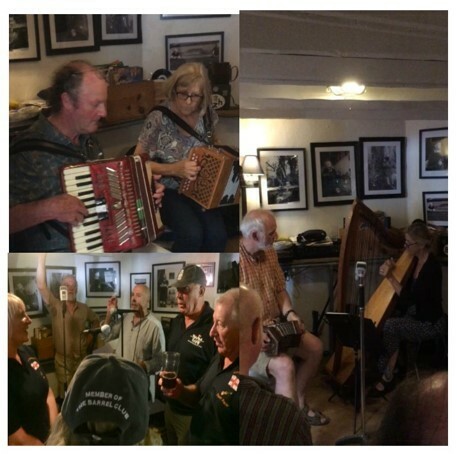 ‘Live Out Of The Barrel’ rock and folk albums will be launched on Saturday the 24 November with a rock/blues jam between 6pm and 9pm followed on Sunday 25 with an open folk session between 2pm and 4pm. Everyone is welcome to attend and join in.